Andrew Carmellini’s cooking is soulful and flavorful, rustic and refined. It’s a style that reflects his American roots, his work in some of the best kitchens, and his travels across the globe. Born and raised in Seven Hills, OH, Andrew learned from parents who loved simple, delicious food made well. After graduating from the Culinary Institute of America he set his sights on Europe and found work in some of its finest restaurants including Valentino Mercatile’s Michelin two-star San Domenico in Emilio-Romagna, Italy. When Andrew first made his way to New York in 1993, Gray Kunz hired him as a chef de partie at Lespinasse, his legendary four-star French restaurant. Andrew then became a sous chef at Le Cirque when it regained its fourth star from The New York Times. Experiencing some of New York’s very best French brigades brought Andrew back to Europe again in 1996, this time to focus on creating a life for himself in France where he worked at three-Michelin-star L'Arpège in Paris. 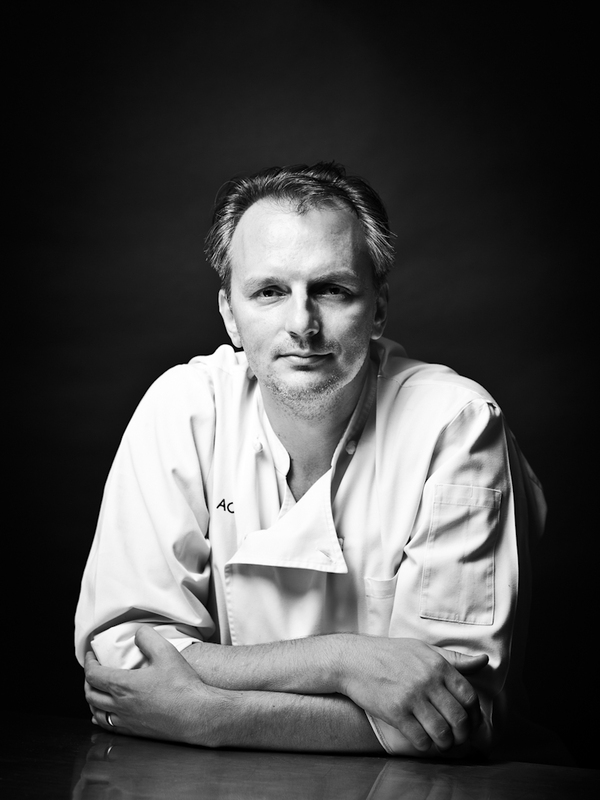 Andrew’s future had been cemented during his tenure at Café Boulud and it gave way to a host of opportunity. In May 2009, he was approached by Robert DeNiro to re-open his restaurant in The Greenwich Hotel as Locanda Verde, which has since been handed two stars by The New York Times, a nomination from the James Beard Foundation for Best New Restaurant and a nod from New York Magazine as one of the “most influential” restaurants the city has seen since 2006. In 2011, Carmellini obtained an iconic space in SoHo at the corner of Prince Street and Sullivan Street and created The Dutch, roots-inspired American restaurant and oyster bar reminiscent of old corner taverns, country inns, roadside joints and great dining halls. Sam Sifton of The New York Times called it “A-list in the extreme,” and listed it as number one in his top ten list of the best restaurants to open in 2011. Later that year an encore of The Dutch opened inside Miami's W South Beach Hotel not too far from where his grandfather once ran the Surf Club back in the 1950’s. It too was applauded as one of the year’s best and awarded three out of four stars by The Miami Herald. Fall of 2012 brought the rededication of The Public Theater and Andrew’s hand in the expansion of the food and drink programming at Joe’s Pub, one of New York’s most celebrated live music and performance venues, and The Library, a lounge serving classic cocktails and an eclectic, New York-inspired menu. With the opening of Lafayette in 2013, Andrew adorned another old corner of New York with his French grand café and bakery dedicated to seasonal, bistro-style cooking in a cinematic atmosphere. The New York Observer coined it "The Great Gatsby" of restaurants and it was listed among Travel + Leisure's best additions to New York for food lovers. What began as an idea for a small restaurant in the East Village in 2007 has become the focus of Andrew's newest restaurant on Bowery, Bar Primi - fresh pasta traditionally prepared and cooked to order. Family recipes are traded with his Brooklyn-born chef-partner Sal Lamboglia for a simple menu of Piccolini, Antipasti, Traditional and Seasonal pastas and home-style desserts. Andrew is also the author of two cookbooks with his wife Gwen Hyman: Urban Italian (Bloomsbury Press, 2008), which climbed to the year’s Top Ten Cookbooks list on Amazon.com, and American Flavor (Ecco: Harper Collins, 2011). The story continues every day at www.andrewcarmellini.com. After 20 years in the hospitality industry, a path that has taken him across the country and around the globe, Luke Ostrom has become the leading force behind some of the country's most noteworthy restaurants and food and beverage operations. Luke first partnered with James Beard Award-winning Chef Andrew Carmellini to open A Voce in Manhattan’s Madison Square Park in 2006. Together they earned a three-star review from The New York Times and a Michelin star among other accolades. In May 2009, they partnered with Robert DeNiro and launched Locanda Verde in The Greenwich Hotel to rave reviews and a James Beard Award nomination for Best New Restaurant. The casual Italian taverna still enjoys popularity and praise, most recently named by New York Magazine as one of the “most influential” restaurants to open since 2006. The following year, Luke obtained the iconic corner of Prince and Sullivan Street in SoHo and transformed it into The Dutch, an American restaurant and oyster bar that was dubbed “A-list in the extreme,” by The New York Times and number one in its top ten list of the best restaurants to open in 2011. Later that year, Luke and his partners opened an encore of The Dutch inside Miami's W South Beach Hotel, applauded as one of the year’s best and awarded three out of four stars by The Miami Herald. The next venture came in 2012 with the re-launch of the food and beverage offerings at The Public Theater in conjunction with a $40 million revitalization of the landmark’s downtown home at Astor Place. This includes dinner and drink service inside Joe’s Pub, the iconic live music venue, and The Library, a lounge serving eclectic, New York-inspired menu and classic cocktails. Luke continues to populate downtown Manhattan with signature, vital dining environments with the opening of Lafayette in 2013, a grand café and bakery dedicated to seasonal, bistro-style cooking and Bar Primi the following year, a casual pasta shop on the Bowery devoted to primi piatti, the pasta course. As a skilled and recognized operator, Luke has consulted with VV Ventures and the Las Vegas Sands; developed three eateries for OTG Management in the Delta Terminal of LaGuardia Airport; and created five concession locations of 'Sausage Boss' within Madison Square Garden, New York's most famous arena. Josh Pickard’s 25-year-long career is marked by some of New York City’s most sought-after restaurants and music venues. 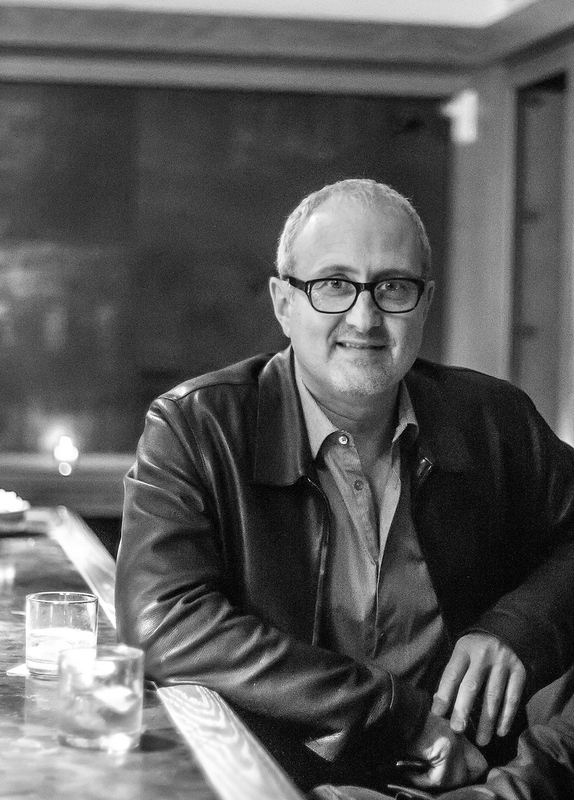 After graduating with an MBA from the University of Southern California, Pickard opened Time Café & Fez in 1990 –a combined live music and restaurant venue that would transform downtown Manhattan’s nightlife through the following decade. With that, Pickard was tapped to operate The Public Theater’s now iconic live music and performance venue with dinner and drink service, Joe’s Pub. Pickard first joined award-winning chef Andrew Carmellini in 2009 with the opening of Locanda Verde in Robert DeNiro’s TriBeCa hotel, The Greenwich. Two years later they opened The Dutch on a neighborhood corner of SoHo and an encore of The Dutch in the W South Beach Hotel later that same year. Fall of 2012 brought the $40 million revitalization of The Public Theater and the expansion of Joe’s Pub's operations there which included the opening of The Library, a lounge carved out of the landmark building’s mezzanine level serving classic cocktails and an eclectic, New York-inspired menu. Lafayette, a French grand café and bakery in NoHo's iconic Schermerhorn Building opened in 2013 and has been followed by the group's return to Italian cooking with Bar Primi, their casual pasta shop on the Bowery. Pickard is also known for his successes with Lever House, a stylish, sophisticated midtown restaurant opened in 2003 and nominated as Best New Restaurant by the James Beard Foundation; Lure Fishbar, the enchanting SoHo seafood and sushi concept in 2004; Burger & Barrel in 2010, a casual winepub with an American menu of greatest hits; El Toro Blanco, a stylish new Mexican boîte and the expansion of Lure Fishbar to Miami Beach, FL.